What About Keto MCT Powder? What’s the connection between MCT oil and keto? Most keto writers heavily recommend the oil and many people use it regularly. But, why? What does this oil do differently than other types of healthy fat? This post takes a detailed look at those questions. We also consider how you can use MCT oil effectively and what dose you should be taking. MCTs are medium-chain triglycerides. They are a specific type of fatty acid, one with unique implications for health (another type is the short-chain fatty acids). MCTs are commonly found in coconut oil. They’re partly why coconut oil is so popular. Coconut oil consists of roughly 62% to 65% MCTs (1) and most of these are lauric acid (2). The MCT levels may be high enough to offer some health benefits. But, you're not getting a large amount of the more beneficial shorter-chain MCTs, so the keto benefits may not be as pronounced. You can get MCTs in food naturally. Coconut oil is the most obvious source. But, cheese, butter, milk and yogurt are other options. The levels are typically low. As a result, MCT oils have become increasingly popular. MCT oil is basically fractionated coconut oil. It contains higher levels of MCTs and fewer other compounds. MCT oil is a much more concentrated source of MCTs. It doesn’t have any coconut flavor either. In fact, it’s tasteless. Why MCTs in the first place? The compounds are interesting, as our bodies process them differently. MCTs are transported to the liver and metabolized there. Longer chain compounds are still processed in the liver but they don’t get there as quickly (3). This difference means MCTs act as a fast source of energy and promote ketone production. They are associated with many health benefits. I’m not going to talk about those here but Dr. Axe has a great piece that considers the benefits in depth. MCT oil is also a good source of healthy fats. To the average person, calling MCT oil beneficial may sound odd. But, keto dieters already know that fat isn’t the enemy. A simple reason for using MCT oil is for health. But, there are also benefits that directly relate to a ketosis diet. When you’re on keto, most of your energy needs to come from fat. This can sometimes be hard to achieve. MCT oil helps considerably, as it just contains fat. There is no protein or carbs to worry about. MCT oil is also easy to use. You don’t have to worry about a full meal. Many people just add the oil to their coffee. Keto fat bombs will sometimes use MCT oil as well. Plus, MCT oil is a healthy fat. Some authors suggest that between 30% and 60% of fat intake should come from MCTs (4). Most fatty acids need to go through the lymphatic system as part of their digestion. But, MCTs skip this step. This means they’re digested faster. The digestion is especially powerful for people with liver and gallbladder problems. The site Dr. Jockers explains those implications in more detail. MCT oil offers an energy boost. It’s often taken first thing in the morning for that reason alone. The impact is mostly due to the speed of digestion. You can also take MCT oil before a workout and the energy may help improve your performance. In terms of energy, MCTs function much like carbs. But, they don’t increase insulin or blood sugar levels in the same way that carbs do. MCTs may also provide energy to the brain directly, as they can cross the blood-brain barrier (5). This may be why some people feel more alert and energized after their MCT oil each morning. The metabolism of MCTs results in ketone production. This means MCTs can boost your ketone levels, helping you reach ketosis and/or stay in it. By increasing ketones, MCT oil gives you more flexibility and can make you less sensitive to carbs. This reduces the risk that you’ll drop out of ketosis. It may also allow you to increase your protein and carb intake slightly. In the long-term, MCT oil can make keto easier to follow. The keto flu occurs as your body adapts to fat as a fuel source. It can be uncomfortable and frustrating. Increasing fat intake can help decrease the symptoms. MCT oil is an especially powerful way to do so. The ketone-increasing benefits of MCT oil are also beneficial for the keto flu. The extra energy doesn’t hurt either. MCT oil may also have a direct impact on weight loss (6,7). Mechanisms include decreasing calorie consumption, increasing satiation (8) and raising your metabolic rate (9). Studies are very limited, so it’s not clear how strong the effect is (or whether it exists at all). But, any potential weight loss advantage is appealing. MCT oil is powerful but it can also seem confusing. For example, coconut oil is commonly used in cooking or as an ingredient. But, MCT oil isn’t nearly as versatile. First though, a word of warning. If you’re just starting with MCT oil, go slowly. Start with just a teaspoon a day (or even less). In time, you should be able to tolerate a tablespoon at a time without ill effects. But, there’s no rush. Give your body the time it needs to adjust. Consuming too much too soon can cause diarrhea or stomach cramps. MCT oil is mostly tasteless and odorless. So, some people just take it straight, normally on a teaspoon or a tablespoon. Bulletproof coffee is one of the most common ways to consume MCT oil. Officially, the coffee uses Bulletproof Coffee Beans, Brain Octane Oil (a type of MCT oil) and either grass-fed unsalted butter or grass-fed ghee. Many people make it using regular coffee beans, butter and MCT oil. Coconut oil can be used too. The coffee is commonly consumed instead of breakfast. Doing so is meant to provide a boost of energy and is easier than intermittent fasting (although, perhaps less beneficial). More details can be found on the Bulletproof blog. Bulletproof has even produced a pre-packaged cold brew version that can be consumed on the go. But, reviews for that are mixed. But, Bulletproof coffee isn’t the only option. There are many other keto coffee recipes out there. Some of these are simple, while others contain extra ingredients. For example, the site Fat-Burning Man highlights five different recipes that you can turn to. He has photos of each of them, along with some extra tips. You can follow similar ideas with other drinks, like in the video below. The recipes below are other examples. Some of them use coconut oil instead of MCT but you can just replace that with MCT oil. Some recipes will use MCT oil directly. You can often add MCT oil in as well. For example, MCT oil is often part of sauces, dressings, fat bombs and smoothies. But, MCT oil does alter the texture of a recipe. Many recipes use MCT powder instead. This is more versatile for cooking and still provides the same benefits. Examples include Chocolate Mug Cake Mix, from Keto Connect and The Fatbody MCT Bread, from The Fatbody. You can also just drizzle MCT oil over meals, particularly salads. The oil doesn’t have a flavor, so you mightn’t even notice the difference. But, this can take some trial and error. After all, oil does have a noticeable texture and mightn’t pair well with all dishes. There are four different types of MCTs. The main three are caprylic acid (C8), capric acid (C10) and lauric acid (C12). The C8, C10 and C12 reference simply refers to the number of carbons in their chain. In theory, shorter chain lengths should be metabolized faster. This may make them better for ketosis. Lauric acid is the most controversial MCT. It is thought to offer many health benefits. But, it doesn’t quite act like an MCT in the body, because of the chain length. You can find more details about the difference elsewhere on the site. The end result is that the best keto benefits may come from MCT oil that doesn’t include it. Some MCT oils that only use caprylic acid and capric acid are given below. One other alternative is Brain Octane Oil. This just contains caprylic acid (C8). The lower chain length should make Brain Octane Oil more powerful for ketosis. But, those effects haven’t been proven. Even it caprylic acid is better, the impact may be slight and not biologically significant. Selecting a brand that avoids lauric acid makes sense if you want the best keto benefits. There are plenty of these to choose from, they are often reasonably priced and there is some scientific basis to the idea. But, be aware that lauric acid has benefits of its own. Brands with this as well (like Sports Research) may offer more health advantages. Lauric acid may not increase MCT levels as much as caprylic and capric acid but it has been linked to more sustained ketosis (10,11). As for Brain Octane Oil, that’s up to you. Personally, I don’t think there’s enough evidence. Dave Asprey (the man behind Bulletproof) also tends to hype his products a bit too much. You can see that in the video below. But, many people do use Brain Octane Oil and it’s clear that Bulletproof focuses on quality. Even with the ideas above, MCT oil can sometimes be frustrating to use. MCT powder (sometimes called MCT oil powder), is a useful alternative. As the name suggests, this is simply a powdered version of MCT oil. It is created much like protein powder and contains few added ingredients. The site Keto Source offers details about the processes used. The powder has the same general benefits as MCT oil. But, there are unique advantages too. It is easier to use. MCT powder can easily be added to solid products. For example, you can use it in baking or in homemade protein bars. In contrast, MCT oil would significantly alter the texture. You can also add the powder to smoothies and many people do. Weighs less and is easier to transport. Some brands even have single-serving sachets. Is easier to tolerate. Side effects are common with MCT oil and some people cannot tolerate it at all. MCT powder still has side effects but they seem to occur less often. Interesting texture. The powder is often used as a creamer to make drinks richer. Flavored varieties. There are various flavored options on the market. These can make the powder more interesting, especially if you are using it in recipes. The video below highlights some other reasons. One of the most popular choices is Perfect Keto MCT Oil Powder. This is also the product that we recommend. There is an unflavored version, as well as chocolate and vanilla options. The powder contains 70% caprylic acid (C8) and 30% capric acid (C10). It is also free from fillers and additives. Perfect Keto also has other related products, which are all designed to support a keto diet. 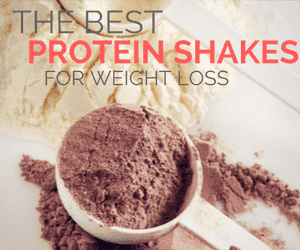 These include various protein powders and exogenous ketone supplements. A second brand is Zuou. They have other keto products as well. Regardless of what you choose, read the labels carefully. Most MCT oil powders will be perfect for keto, but some may not be. Most recommendations suggest taking 1 to 2 tablespoons of MCT oil. Some people do this once per day, while others may do it 2 to 3 times daily. Of course, you’ll need to work up to those doses. There are fewer details available for MCT oil powder. The best approach is to focus on the serving size recommended on the label. The timing of your dose depends on your goals. This area hasn’t been studied in depth and most recommendations are based on anecdotal experiences. Energy. Take MCT oil first thing in the morning. Focus. Use the oil before a task that’s likely to be challenging, such as studying. Weight loss. Take MCT oil 20 to 30 minutes before you eat. You can also use MCT oil in a hot drink instead of a meal (typically breakfast). Workout performance. Use MCT oil 20 to 30 minutes before a workout. If you’re focused on ketosis in general, take the MCT oil first thing in the morning. This can help you feel energized and get you ready for the rest of the day. Individual experiences are likely to differ. You should always pay attention to how your body responds. Work out what doses and times of day make you feel the best. MCT oil is much more than a healthy source of fat. It is an easy addition to your diet that can increase ketone production and fight off the keto flu. Many keto dieters rely on it daily, while others may just take it periodically. But, whatever your preference, MCT oil can help you stay in ketosis and stick to your goals.